A functional hard shell jacket capable of measuring up to any situation is the ideal choice for unpredictable mountain weather. 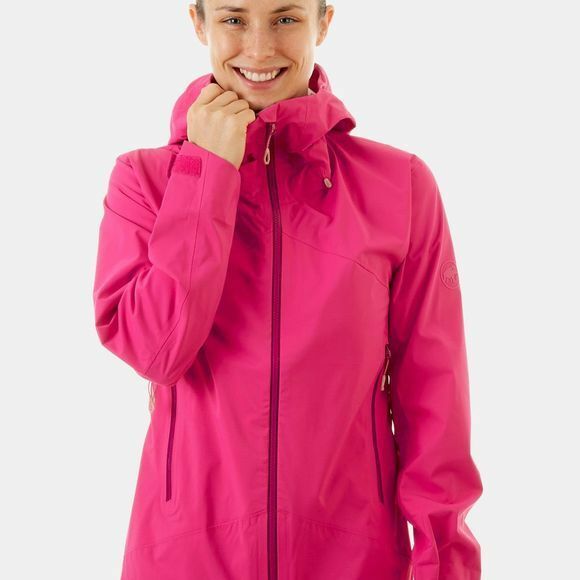 The Kento HS Hooded Jacket Women fends off rain with a waterproof outer material, a hood that you can wear over your helmet and waterproof zippers. 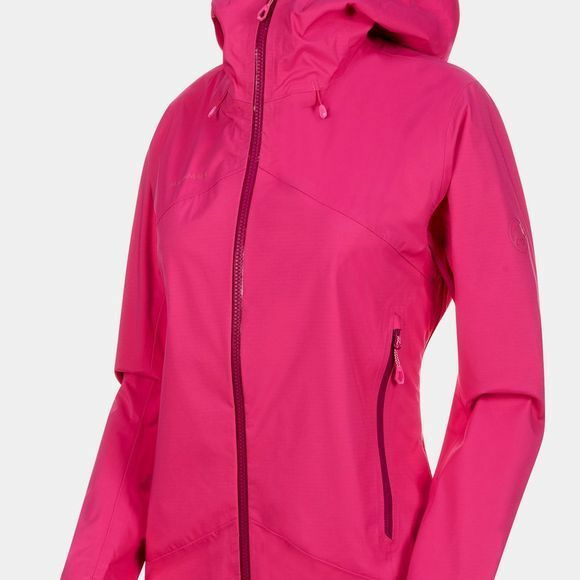 You can reach the pockets of this hard shell jacket at any time, even when wearing a climbing harness, and the cuffs and hems can be adjusted for an individual fit. Its great compressibility allows you to easily stow the jacket in your backpack to ensure it is close to hand in case of need.